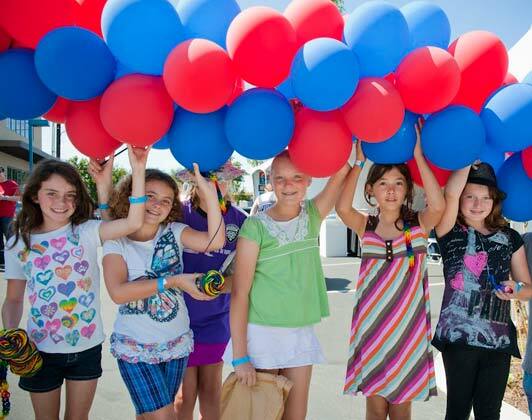 Everyone has fun at the La Jolla Art & Wine Festival. Hey World – if you are thinking about visiting San Diego in the near future, can I suggest that you plan to be here on October 13 and 14?On those days, Girard Avenue (the main drag in San Diego’s favorite coastal community) will be closed to traffic, and a wine and beer garden, live music, 150 artists displaying their wares, and a kids’ art center will fill the space from curb to curb. The La Jolla Art & Wine Festival is part street fair, part open-air art gallery, and a lot of fun. The “Gourmet Marketplace” (think food court) will give local vendors an opportunity to showcase their cuisine. Look for Big Rick and the BBQ Chicks, Belinda’s Cocina, Crepe’s Up, Egyptian Delights, LeRoy’s Sweet Potato Shack, Surfranks, Tamale Guy, The Green Truck – and many others. Two stages – one at Girard and Wall Street and another at Girard and Silverado – will host musicians from 10:30am to 5:30 pm both days. They will offer alternative-country rock, a brass band, several styles of guitar – including acoustic guitar renditions of American classics – and plenty of blues and rock. 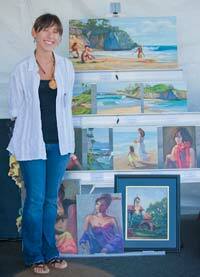 Over 150 artists from around the Southwest will present their work at the La Jolla Art & Wine Festival. At the Kids Art Center, children can paint a life-size car, take art or dance classes, participate in games, chalk art, crafts, Girl Scout SWAPS, edible art, face painting, cartooning, photo booth, carnival games, sports drills, and even an open gym. The newest activity starting this year is the scavenger hunt. Nine local merchants have offered to participate by stamping a map that the kids bring into their store. Once the map is completed, kids can turn it in to be entered into a raffle for prizes. Speaking of children, the La Jolla Art & Wine Festival is free of charge, but a $5 donation at the entrance would be much appreciated. 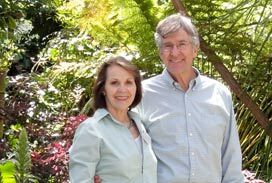 All profits raised benefit underfunded programs such as art, music, science, physical education, technology, and on-site medical care at local public elementary and middle schools. Children will not be permitted in the Wine and Beer Garden (open Saturday and Sunday from noon to 6:00pm) but the Athenaeum Music & Arts Library and the YMCA will be offering classes. Theoretically you can just drop by with your offspring and then go to the Wine and Beer Garden, but honestly, if I were you, I’d make a reservation in advance. The La Jolla Art & Wine Festival will take place from 10am to 6pm on Girard Avenue between Prospect Street and Kline Street. The website has lots of details including directions, the schedule of live entertainment, how to make reservations for kids’ classes, and a list of local hotels and their rates for that weekend. Seriously, where else can you view and purchase the work of 150 artists, enjoy live music, watch your kids painting a car, relax in a beer and wine garden, and eat interesting food in a location as beautiful as La Jolla? The question is: will you be able to eat it all by yourself or will you need some help? Leave a comment on this post telling us why you are going to the La Jolla Art & Wine Festival and you’ll automatically be entered in a drawing for a delicious Messy Sundae from Sammy’s Woodfired Pizza (8 locations in San Diego). 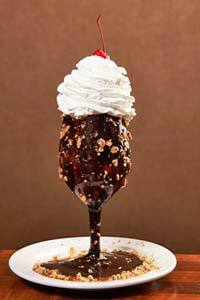 This popular dessert consists of vanilla ice cream, chocolate & caramel sauce, walnuts, and whipped cream. See image right. The winner will be chosen by a randon drawing and notified by email on October 8. The Sammy’s Gift Card will be sent by U. S. Mail unless otherwise mutually agreed upon. Only residents of the United States 18 years of age or older can enter this giveaway. One entry per person, please. To qualify, comments must be left on this site using the comment form.